Building a new fence can be a large project, particularly if you’re approaching it for the first time. There are plenty of details to consider, costs to factor in, and options to choose from to create the fence that you’ve been dreaming about. It can be a challenge to get your head around everything, and you want to get the best value for money (and stunning results) from your new fence that you can. It can be costly to make mistakes, which is why building a fence is definitely something you want to get right the first time. Below is a list of our top five blog posts about fencing which will give you a leg up on your next project, and help you kick a winning score straight away. This post is a great starting point when it comes to learning how to build a new fence. It covers every element of fencing design, as well as which elements are right for each situation. The post shares what style and materials give you which effect, what colours will blend with your landscape as well as gate choices and how to pick fencing ornaments. On top of that, you will learn which fencing is suitable for different residential uses and what’s best for commercial property. There are plenty of combinations out there which create different results, so be sure to read up on the basics before you do anything else. Before you get down to choosing styles and materials, there are many factors to consider. 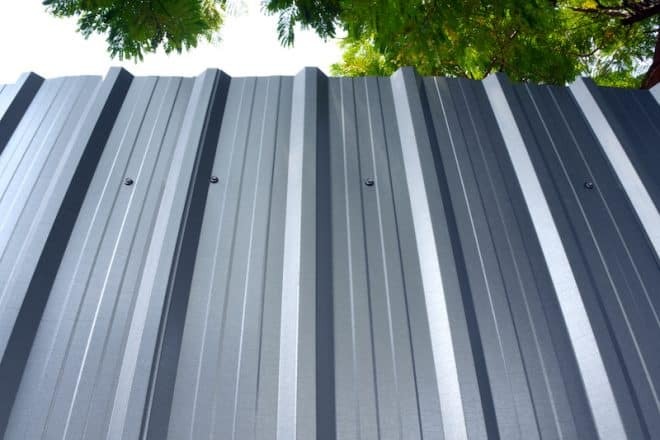 Discover how to protect yourself from unwanted penalties, maintenance costs and neighbour complaints by planning your new fence the correct way. This post goes into depth about smart material choices and helps you choose which practical items to include on your shopping list. If you’re interested in how to build a high-quality fence for the lowest price (and without any nasty surprises), this article is a must read. Planning a brand new swimming pool? We reveal all of the best fencing options and what’s trending on the market today to bring the best out of your project. Australian standards and regulations can be sticklers with pools so it’s critical you read this to avoid losing money on your big outdoor investment. After reading this post, you will know exactly how to plan your new pool installation and understand the pros and cons to every type of pool fencing available. It will give you the boost you need to select a pool fence with that ‘wow’ factor, while also providing ample security for you and your loved ones. Aluminium slat fencing is a modern and very popular style of fencing being used in Australian homes today, and for good reason. It’s one of our favourites here at Everlast because it gives our customers a durable, flexible and low-cost fencing solution that can last for generations. This post shares all of the essentials: the benefits, the sizes and options, and most importantly how to install it for the best results. It is a 10-minute read that could save hours of headaches and research later. Still have a question about fencing? The best way to get your questions answered is to give us a call, but you can get a head start with this very informative FAQ. It includes answers to all of our most regularly asked questions on fencing. What happens with neighbour disputes? Can Everlast install your automatic driveway? Do you offer interest-free payment terms? All of these issues and more are answered in this article. And if your question isn’t covered here, feel free to get in contact with us or drop into our Hoppers Crossing showroom to talk to our friendly staff. We are always available to help you create outdoor projects of which you can be proud. Building a new fence is a big task, but it doesn’t have to be a difficult one. These posts will give you a primer on fencing and will help you get the job done right the first time. Correct preparation now will save you hours of your time, plenty of money and unwanted stress later. We guarantee it will be worth it. And if you’re ready to take that fencing project to the next level, contact us today to see how the experts at Everlast can help.